"Staffs are very accomodating and friendly, easy access place..."
Have a question for Pesangan Surfcamp Hotel? "The staff are amazing, helpful and so polite." 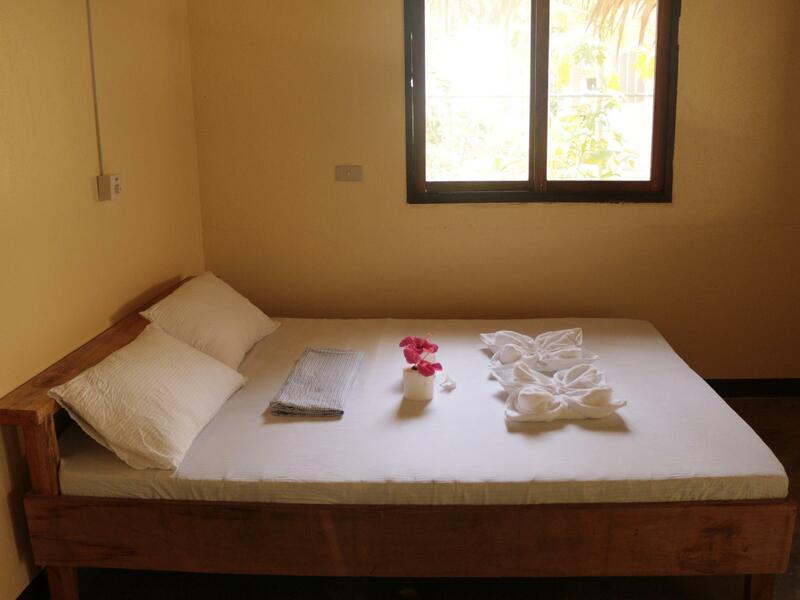 "This is the best place if you want to stay in GL but still w..."
Whether you're a tourist or traveling on business, Pesangan Surfcamp Hotel is a great choice for accommodation when visiting Siargao Islands. The property is not far from the city center. It is about 24.7 kilometers away and it would take around 36 minutes to reach the airport. With its convenient location, the property offers easy access to the city's must-see destinations. The facilities and services provided by Pesangan Surfcamp Hotel ensure a pleasant stay for the guests. Step into one of 8 inviting rooms and escape the stresses of the day with a wide range of amenities such as clothes rack, linens, private entrance, towels, internet access – wireless which can be found in some rooms. The complete list of recreational facilities is available at the property, including boats, water sports equipment rentals, snorkeling, surfing lessons and golf course. Whatever your reason for visiting Siargao Islands, the Pesangan Surfcamp Hotel is the perfect venue for an exhilarating and exciting break away. "the place is a good location." Very close to the best restos in siargao! Try barrel bar, kermit and crepes! Or if you're on a budget, there's also plenty of carinderias to choose from. It's walking distance to the beach and cloud 9 is just a P20 tricycle ride away! The room itself is nothing special but i like that it has a hot shower and a balcony where we lazed around after a tiring day of exploring. It's one of the cheapest accommodation in the area so we didn't really expect much anyway. The staff were also very helpful in giving information and finding an island hopping package for us. All in all, our stay was very pleasant here! I really enjoyed my stay with pesangan surfcamp. A couple recommendation, the room floor could be tiled or something(lotsof stains on bare cement), add a table and chairs and some pictures around the room. Clean or paint the fan. This would make the room more appealing and homely. Just recommendations. Fantastic staff, thanks for looking after us. The perfect place to stay for your Siargao vacation. 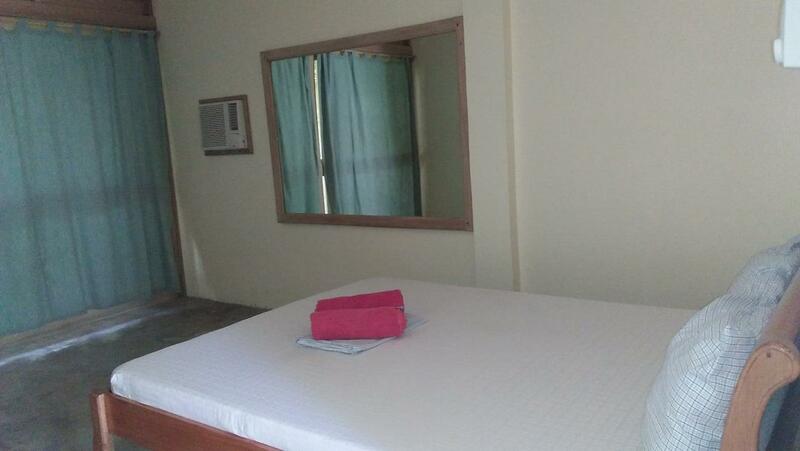 The place is safe and secured and located along the main street of General Luna. Very accessible! Staff are very nice and assists in queries for surf lessons & island hopping. They also help arrange for your van in going to the airport. The location is perfect for almost everything. Near to the beach, resorts and bars in Siargao. Friendly and accommodating staff. Bang for the buck for your stay. Not too fancy though, if your the type. Went to Siargao for sightseeing and food trip. Not really a surfer couple. Location: - Along the Highway - Near the best restaurants and bars - Has a spa adjacent to the hotel Staff: - Very accommodating - Wear the best smiles - Recommends the best things to do in the Island Accommodation: - We got the Villa type of room which is big for the both of us and it was very clean - Great value for money Overall, we had a great time and would definitely be back to Pesangan Surfcamp to explore more of Siargao! This was one of the most expensive places we stayed in the Philippines and also the worst. The rooms are spacious however need major work as so many bugs and lizards were able to get through the cracks between the roof and the walls. This was not cool. We found so many insects in the bed as well as the bathroom. Good location and easy to rent scooter and transfers through the accomodation. Overall, it was fine just to sleep for 3 nights but we were dying to move on by the 3rd day. In the middle of GL, great spot to have your accommodation. But this place is very old. In dire need of an internal face lift. (Our room) Yellow walls, purple tiles, busted toilet door, broken toilet seat. Very basic accommodation, it’s a surf camp, that doesn’t offer surf lessons. The WIFI is non existent when the staff are around and at night the security guard takes the modem to be close to him, the WiFi is rendered useless 90% of the day. Bed was comfortable, hanging space for clothes, hire a scooter or transfers from here, nice day bed area out front of each villa, very basic cooking area. Free fresh water in common area. On our first night, there was no water, but they stocked some water near the front entrance. This was very disappointing because there was no staff around to help us at night when the stocked water was depleted. I could understand the water going out, but I didn't like that there was no staff around to help us get some more water. Very disappointing. This is just a regular guesthouse, not a surf camp, so don’t explain board rental and organized surf classes. Not a great value for money - you can find much nicer options for this price in general Luna. Located super central though, amazing spa just on the corner. Room has never been cleaned during 5 nights stay, shower was very weak and there was a whole colony of ants living in the room. WiFi is poor but it’s everywhere in Siargao so not their Fault. One light bulb was never turning off during the night. What I disliked most, is that windows dIdnt lock and very easily opened from the outside. Break ins DO happen in siargao and basic security is important. I didn’t feel safe there and always worried about my stuff as basically everyone can get into the room from the street. Pros: Staff, friendly, they even helped me with my itinerary and took care of my transpo needs. Location, close to restos and bars, a few minutes walk to the beach. Cons: None 1 star for facilities as they have none (sorry, need to click to submit review). Don’t need one imo as you spend most of your day outside the hotel. Thank you Lisa, Charmie and Russel. I’ll stay again in Pesangan when I come back. The room was big for 2 people. We like that the room had a balcony and hammock that we can use, we were able to entertain new found friends on our last night on the island. There were open cabinets however, they should have built a more appropriate one for storing our stuff-bags etc. Good thing there's an area in the balcony where you can hang wet clothes and towels. Overall it was a good place because the beach is just nearby, and there's a kitchen and dining/common area. The roof was leaking and when we told them about it, they said they knew about it but did not even apologies or anything and just said yeah they know it was leaking... too many mosquitos so beware and make sure you have a lot of repellant with you. We stayed for 4 nights and not even once that they cleaned up the room. However the place is a good location. this is the best place if you want to stay in GL but still wants to get a good quiet place.... the staff are amazing, helpful and so polite. Cant wait til my next trip! Spacious room. Friendly staff. Convenient location. Our flight was cancelled and the owner agreed to extend our stay (for one night) and have it for free. So thankful also for the staffs for being so accommodating and they always clean the room! Just have one suggestion: you may want to put some television for guests entertainment hehehe. overall it was a pleasant stay!